Discussion in 'Dbltree's corner' started by dbltree, Aug 9, 2009. 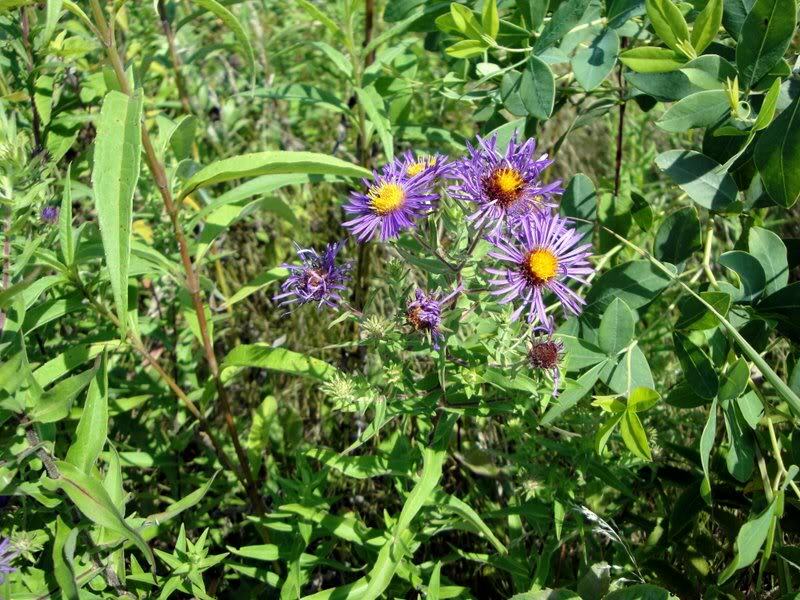 This thread is a place to share information about native wildflowers species and how to plant and maintain them to enhance both the beauty and diversity of your wildlife habitat program. 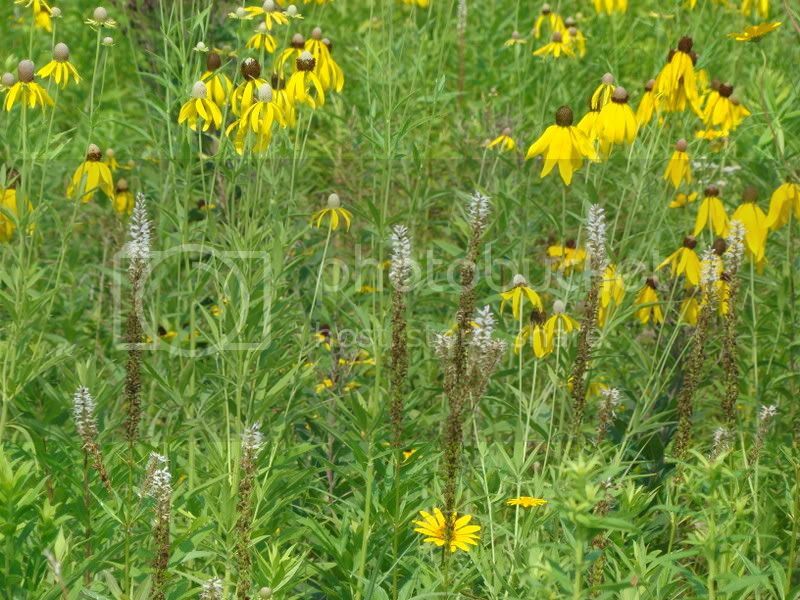 This link will provide thousands of pictures and information on native wildflowers in every state. 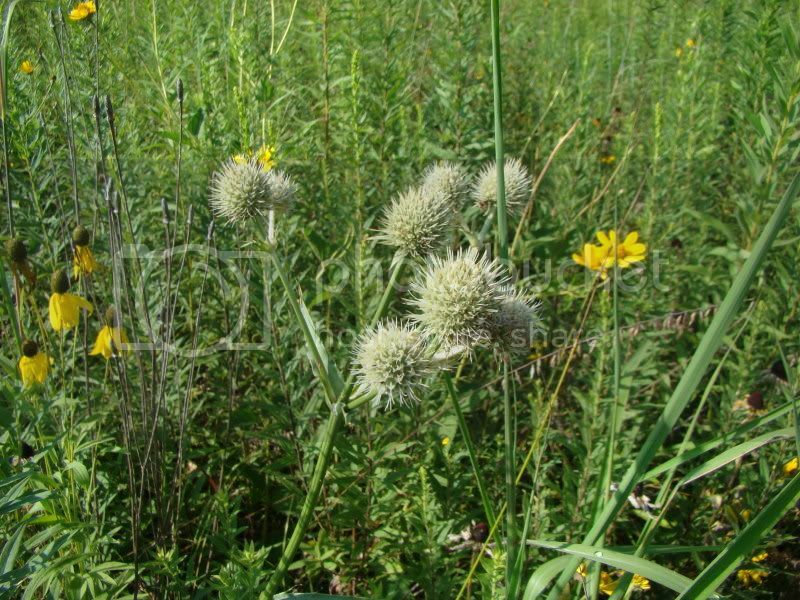 If you have pictures to share or seeds to swap, please share in this thread as native plants and wildflowers are an important but often overlooked aspect of our wildlife habitat programs. 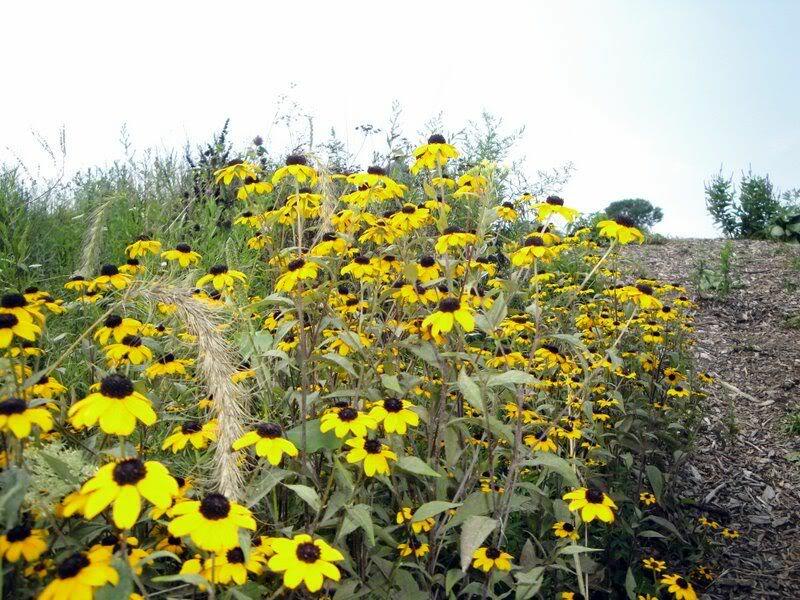 Native Perennial Sunflowers is a must have in my book: Lots of wildlife eat the seeds and folage: Here are a couple exampes. 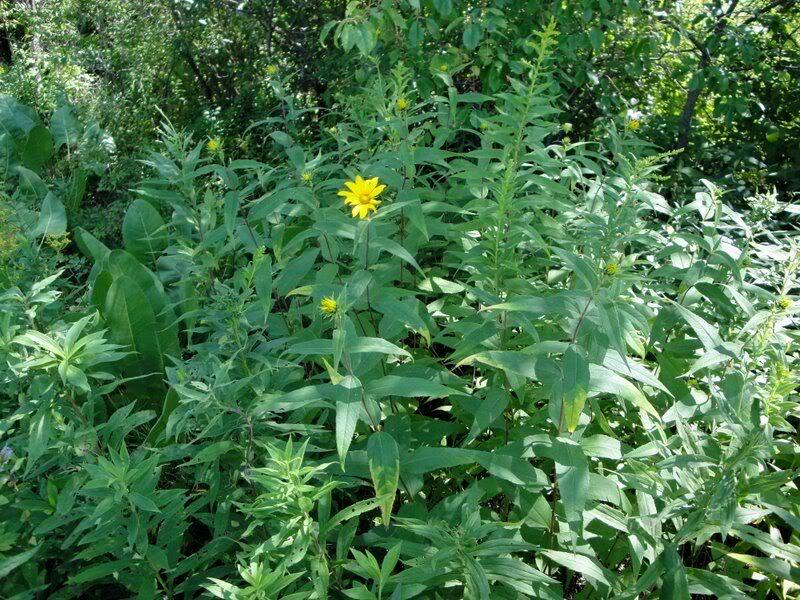 "Helianthus may be used as an ingredient in range seeding mixtures to provide a high quality forage for livestock, and food and cover for wildlife. 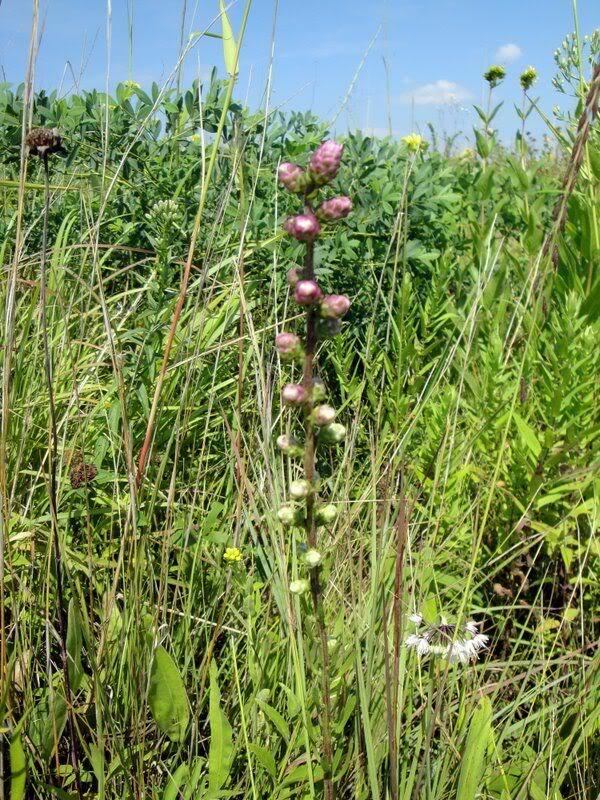 The plant’s long flowering period and spreading habit, along with its tendency to form thickets or large colonies, make it ideal for wildlife food and cover. Livestock, especially sheep and goats, readily eat the forage." 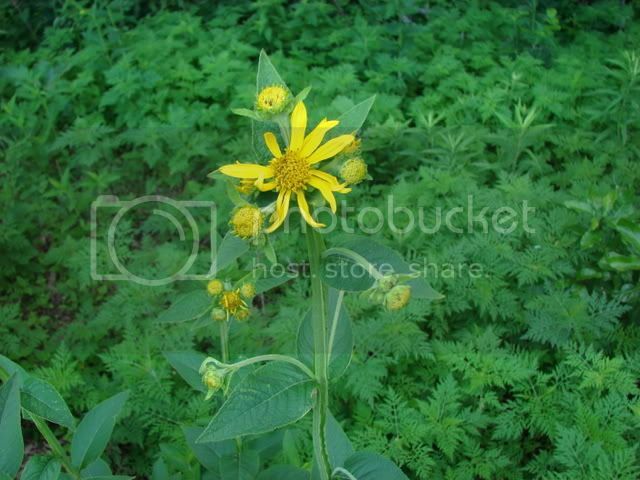 Helianthus occidentalis, Western Sunflower or Fewleaf Sunflower has 1.5 to 2 inch bright yellow flowers rising 2 to 3 feet tall on slender almost leafless stems with mostly basal foliage. 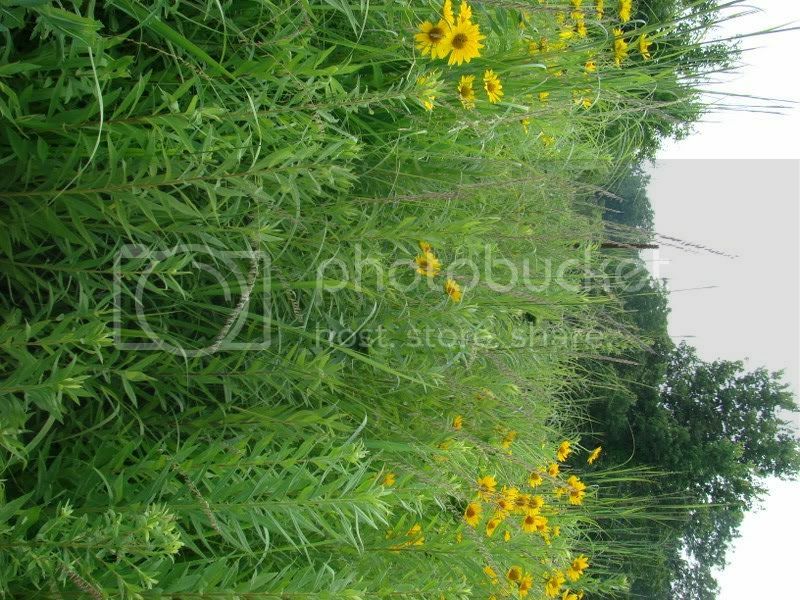 Native Western Sunflower is a colony forming plant that provides excellent ground cover and is very effective for erosion control. It will grow in average to dry soil and like other sunflowers is visited by butterflies and is an excellent bird seed for finches. 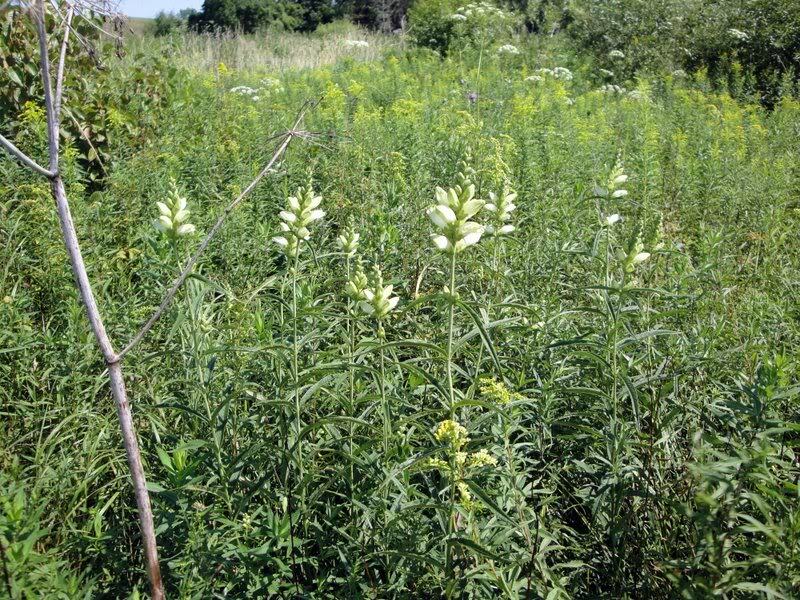 This Honeysuckle is not invasive and is a good plant for the native garden. Lonicera flava is easily grown in average, medium, well-drained soil in full sun to part shade. Yellow Honeysuckle is best planted near a structure upon which to grow and some help in twining up that structure, or it may simply become shrubby or trail along the ground. yellow Honeysuckle flower best in full sun. 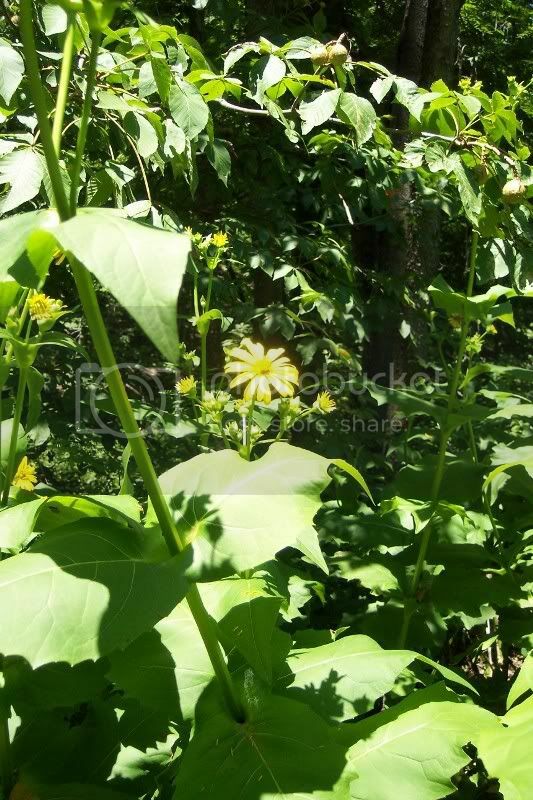 This vine is NOT INVASIVE and should not be confused with the weedy Japanese honeysuckle (Lonicera japonica). Lonicera flava or yellow honeysuckle is a deciduous, woody, twining vine which typically grows 10-20'. 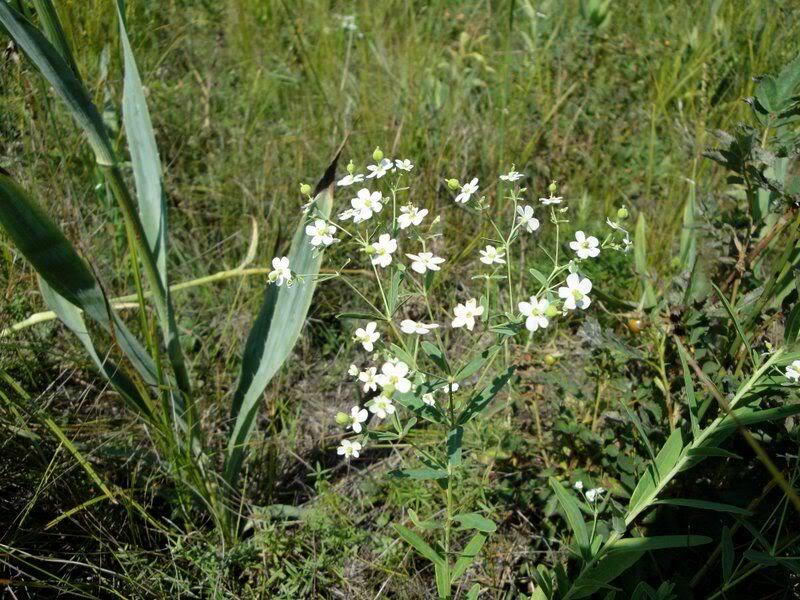 It is a native vine which occurs in rocky soils in woods, slopes, bluffs, ledges and stream margins from Kansas Eastward. 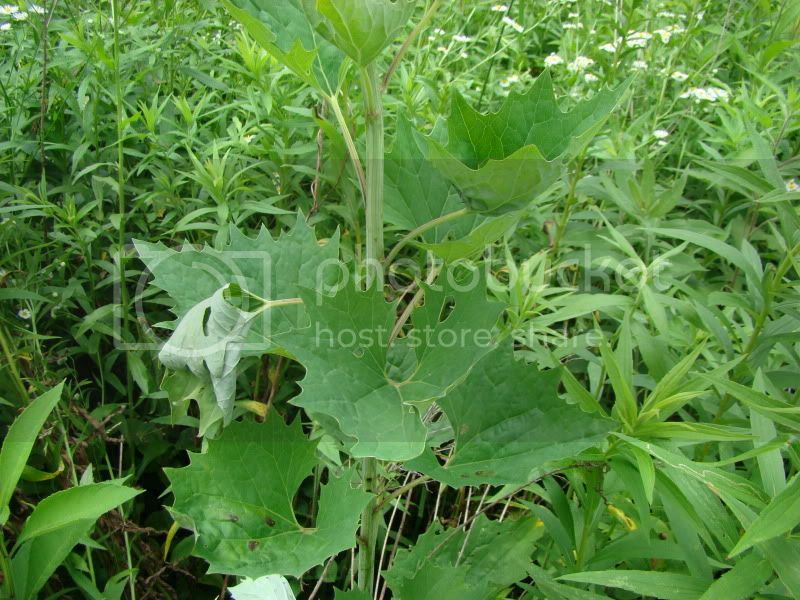 Elliptic green leaves (to 3.5" long) are grayish green below and are paired along the stems, with the uppermost leaves on each stem joined at the bases (perfoliate). Two-lipped, tubular, mildly-fragrant, orange-yellow flowers (to 1.25" long) appear in whorls at the stem ends in mid-spring. 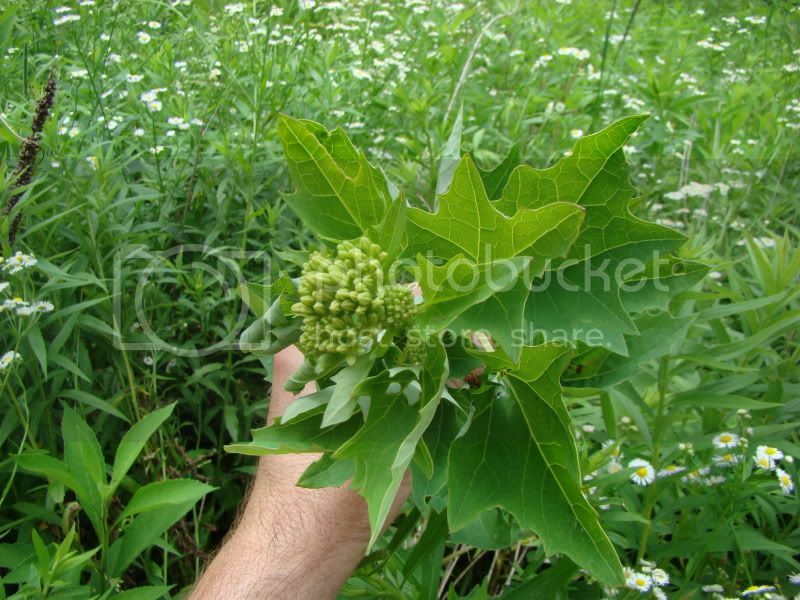 Flowers give way to round, fleshy, orange to red berries (1/4" diameter) which appear in late summer. Berries are not edible, but birds love them. 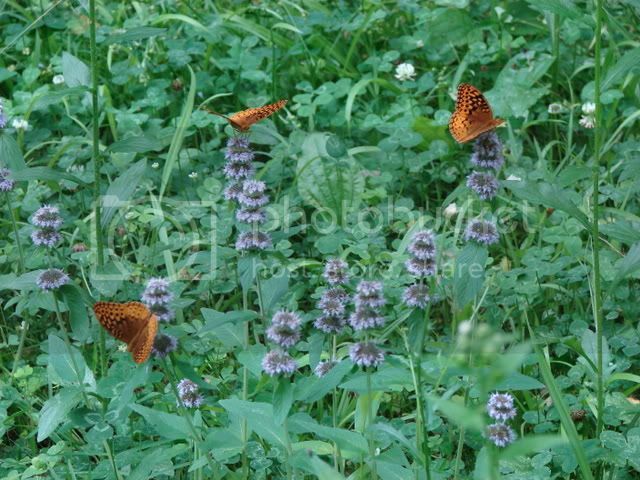 Hummingbirds and butterflies are attracted to the flowers. 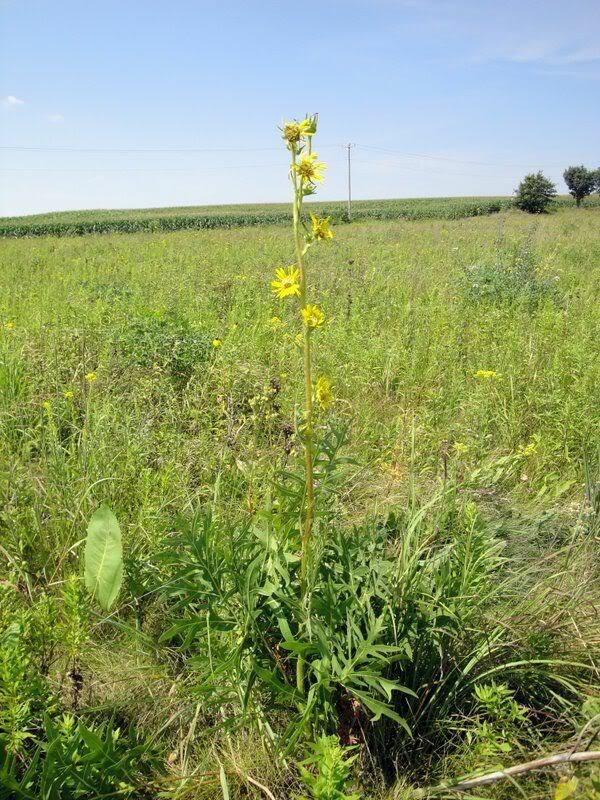 I should be able to collect 5-10 pounds of blazing star from various locations again this year. 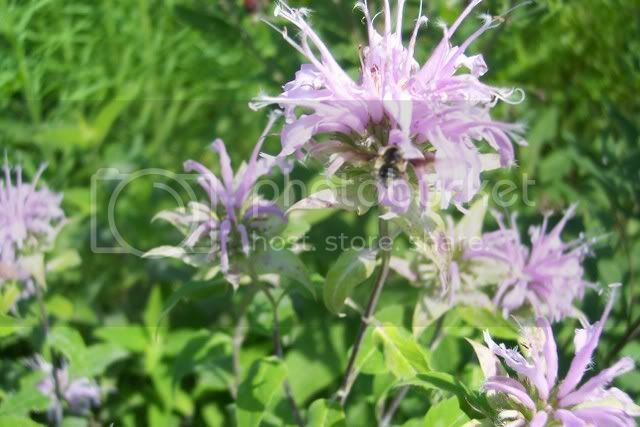 It is a great native wildflower that attracts lots of insects and insects are good for poults. 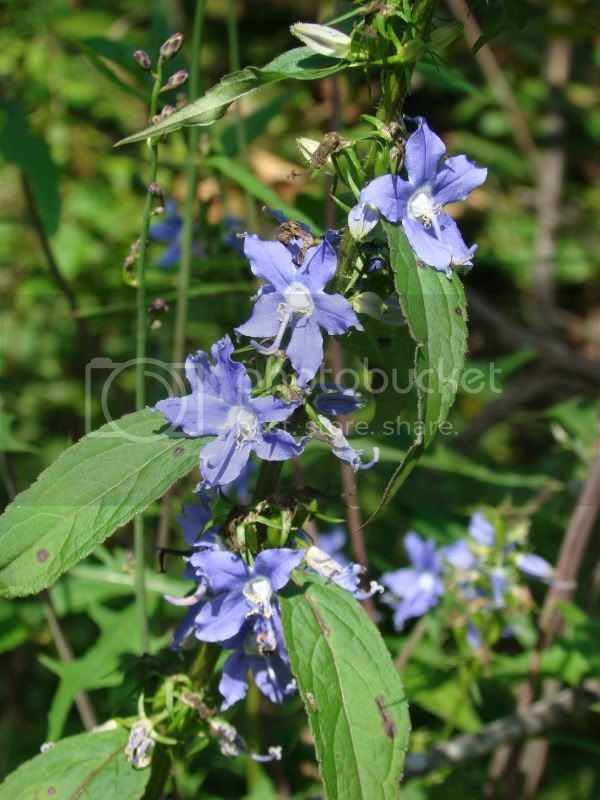 Mertensia virginica Virginia Bluebell is a native perennial plant growing 12 to 24 inches tall. The central stem is round, hairless, and light green and branching occasionally. Bluebell leaves are light green or greyish green, hairless, with a soft floppy texture and are alternate, up to 7" long and 3" across. 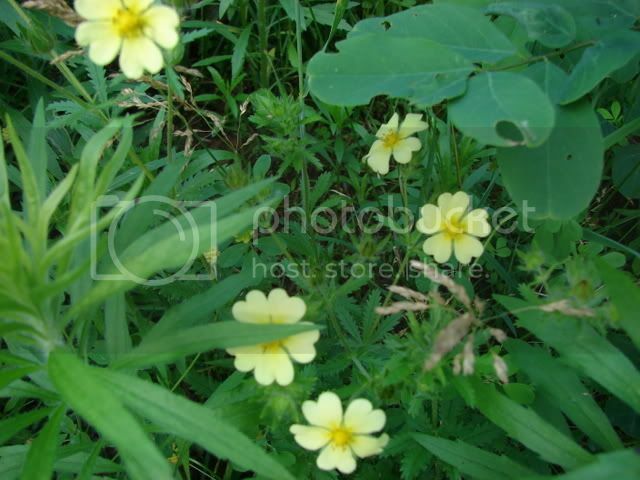 The leaves are ovate-oval or ovate-oblong in shape, with smooth margins, and conspicuous pinnate venation. They usually taper to a winged petiole, although some of the upper leaves are sessile. Some of the upper stems terminate in nodding clusters of light blue flowers. 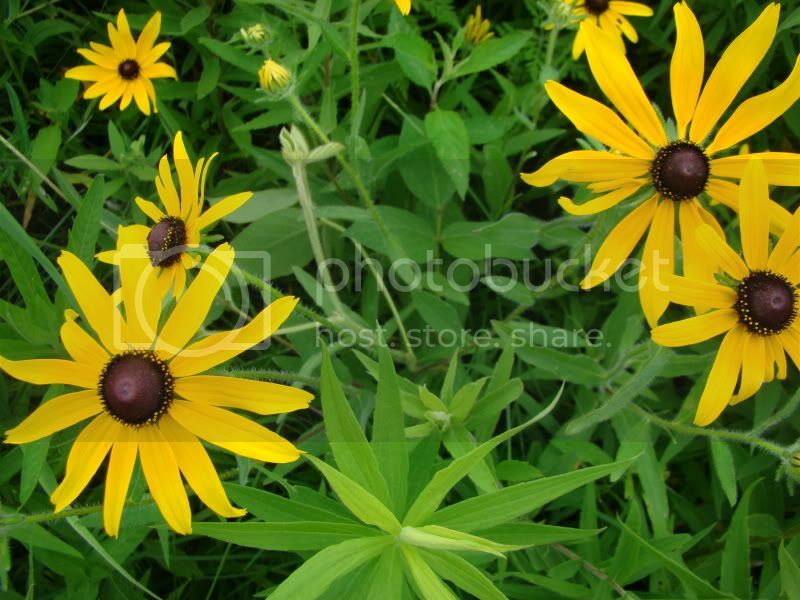 These flowers are about ¾–1" long. 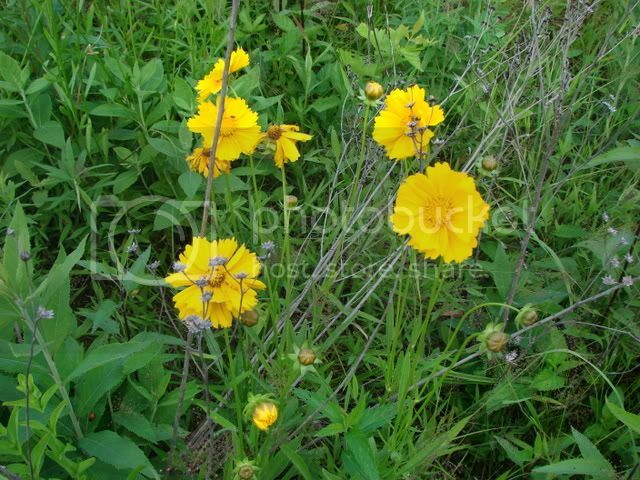 The corolla of each flower is tubular, flaring outward toward the 5 shallow lobes like a trumpet. 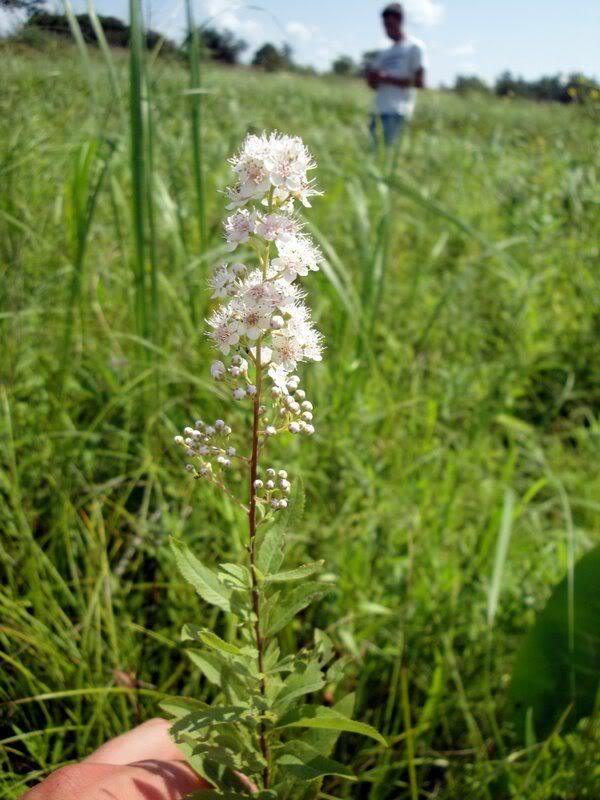 Within the corolla, are 5 white stamens with light brown anthers and a white style that is long and slender. The small greyish green calyx is divided into 5 blunt teeth. 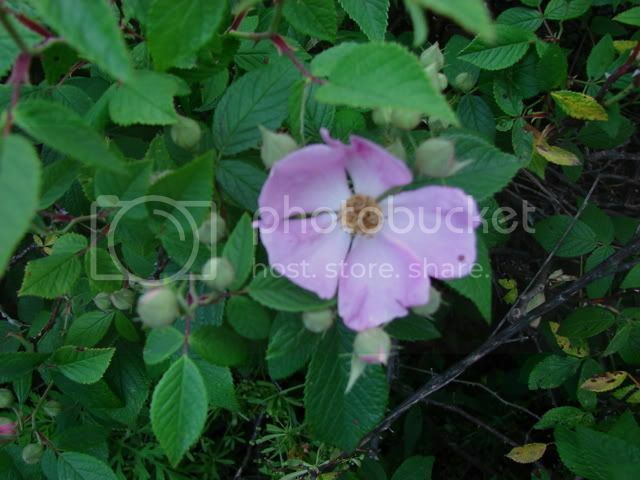 While in the bud stage, the flowers are a light purplish pink, but become light blue with maturity. 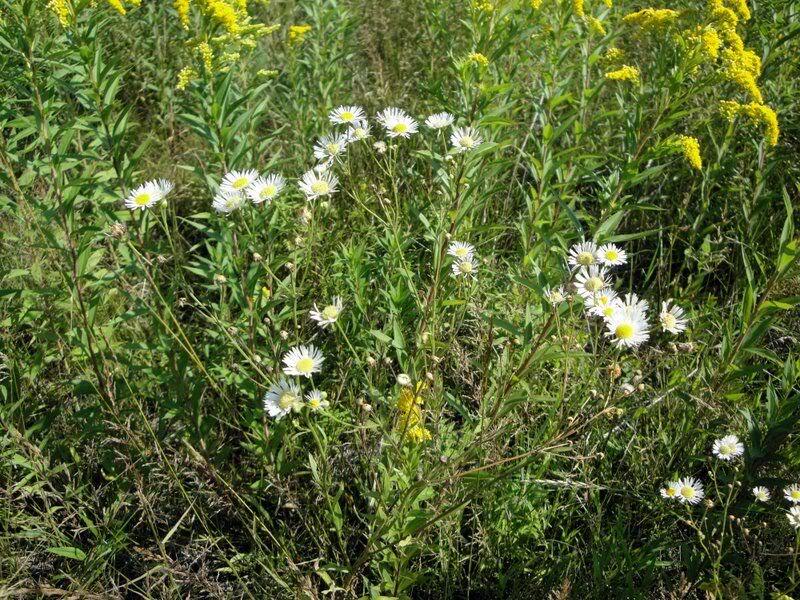 The blooming period occurs from mid- to late spring, and lasts about 3 weeks. The ovary is divided into 4 lobes, which contain the nutlets. The root system consists of a taproot. 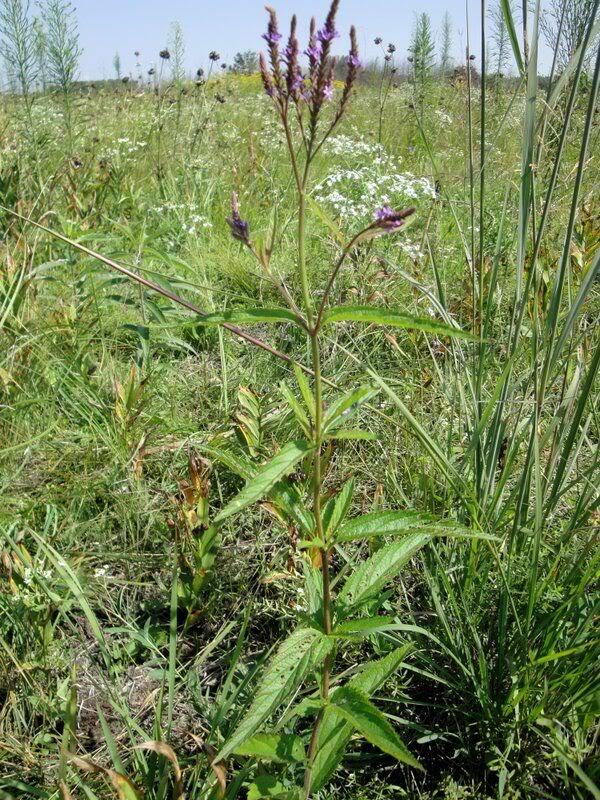 This plant often forms colonies. 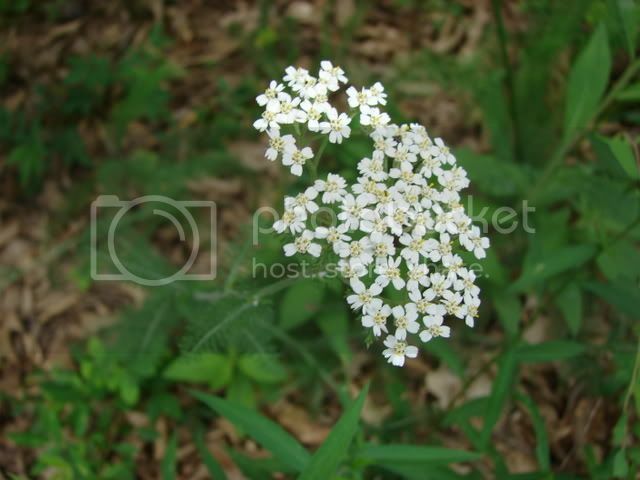 I'm not positive but this last white/yellow flower maybe some sort of Sweet Everlasting or cat foot. 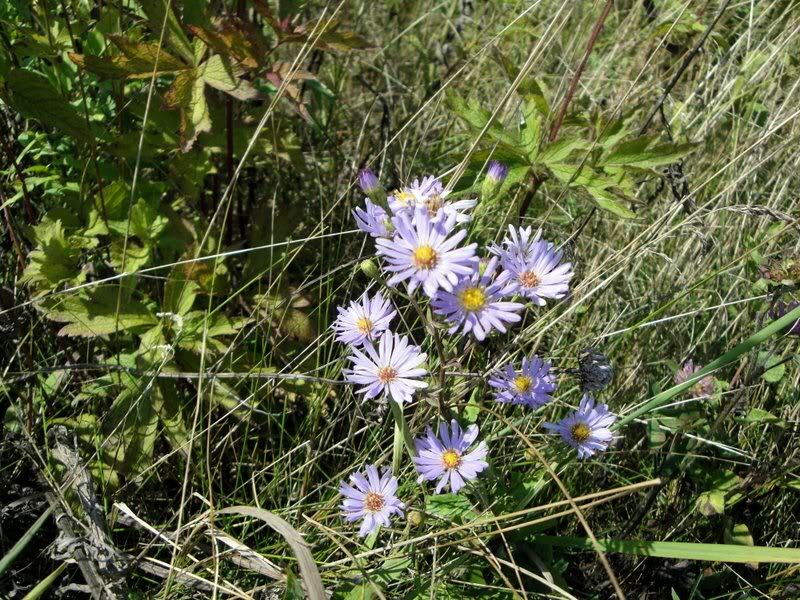 It's in the aster family. Good thread. Wish I lived close enough to come down and snip some seed heads for my own foray. 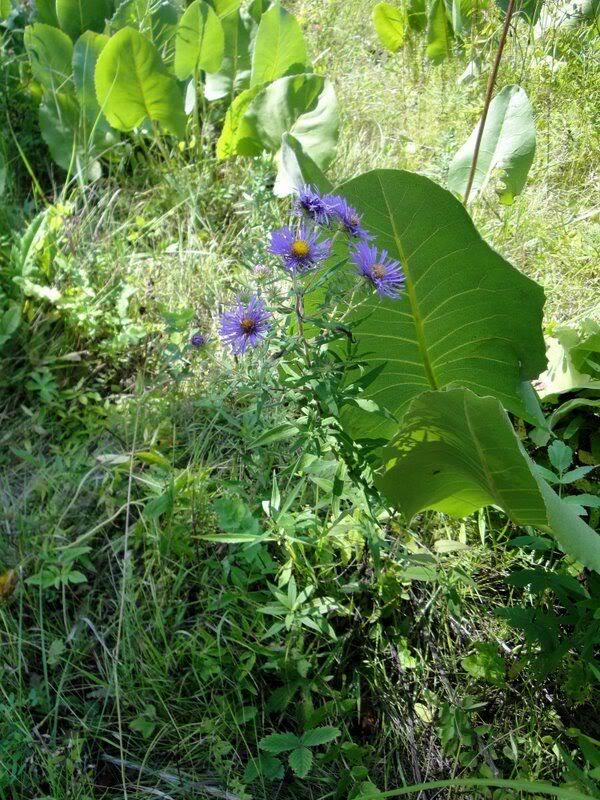 Those first two asters look like Sky Blue Aster...at least one of them is, or both! 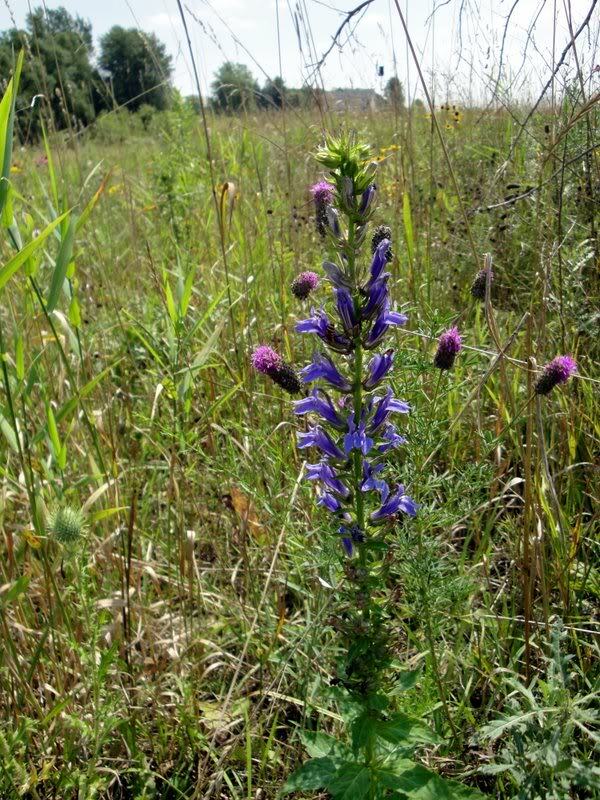 And there are some Purple Prairie Clover right beside the Great Blue Lobelia! Queen of the Prairie is known for its beautiful spraylike clusters of pink flowers that make it a stand out and give it its regal name. 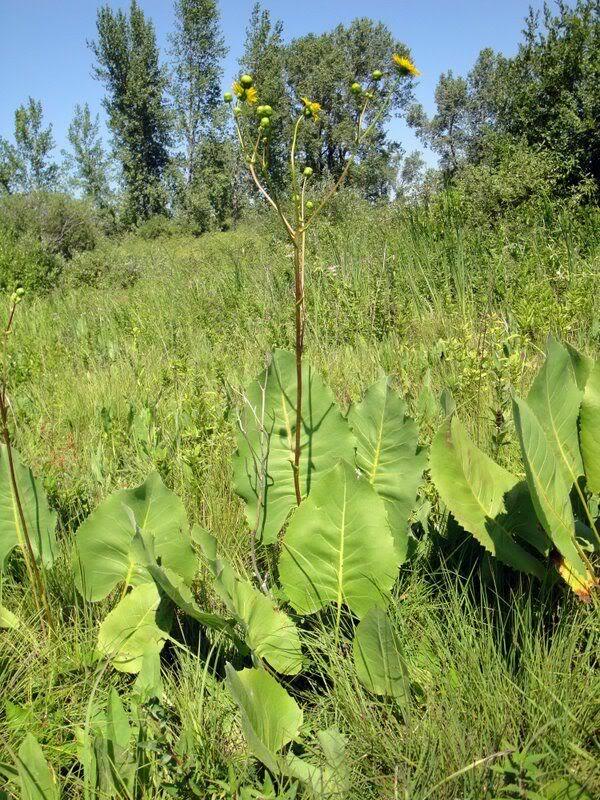 The leaves are large and deeply lobed on zigzag stems, and the plants grow to 5 feet tall. 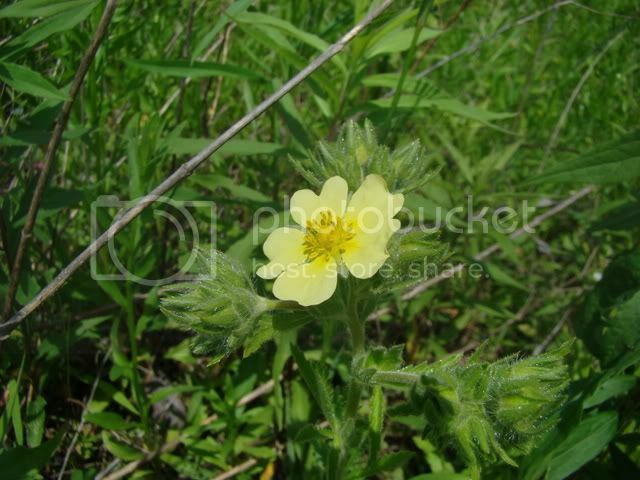 It's best grown in full sun (although they can take some shade), and prefers moist to wet soils. 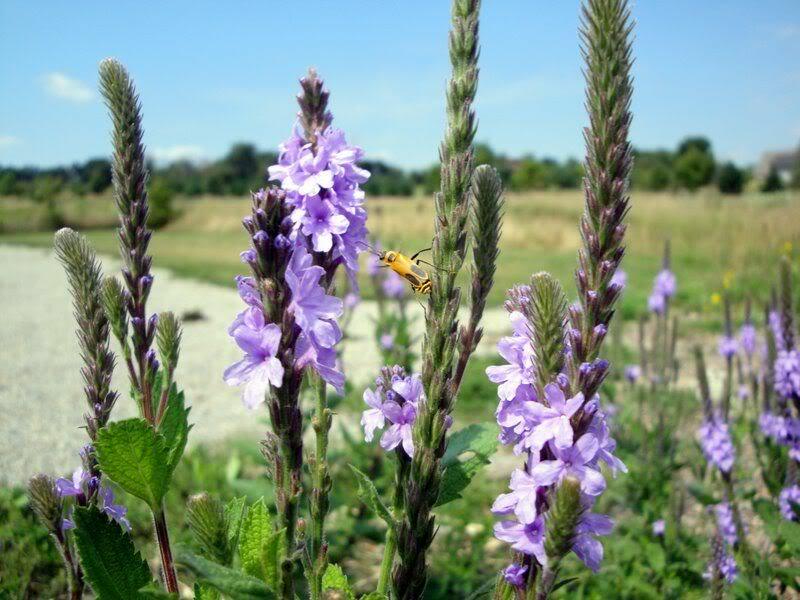 The roots are rhizomatous and will spread by runners, which makes it a great plant for naturalizing in moist meadows. 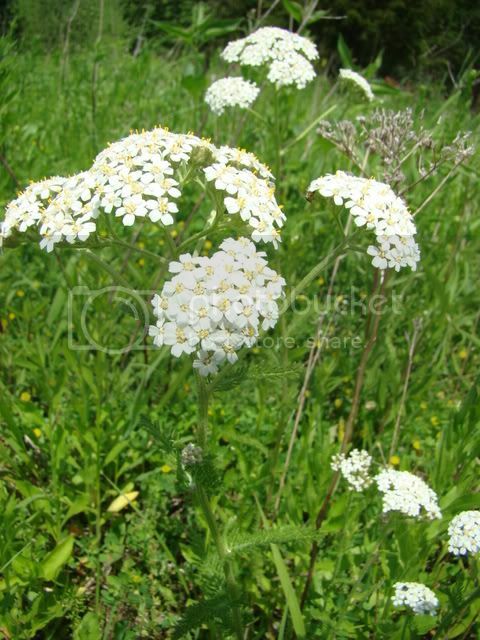 Its beautiful blooms make it a showy plant for the garden, but keep in mind that it does spread. 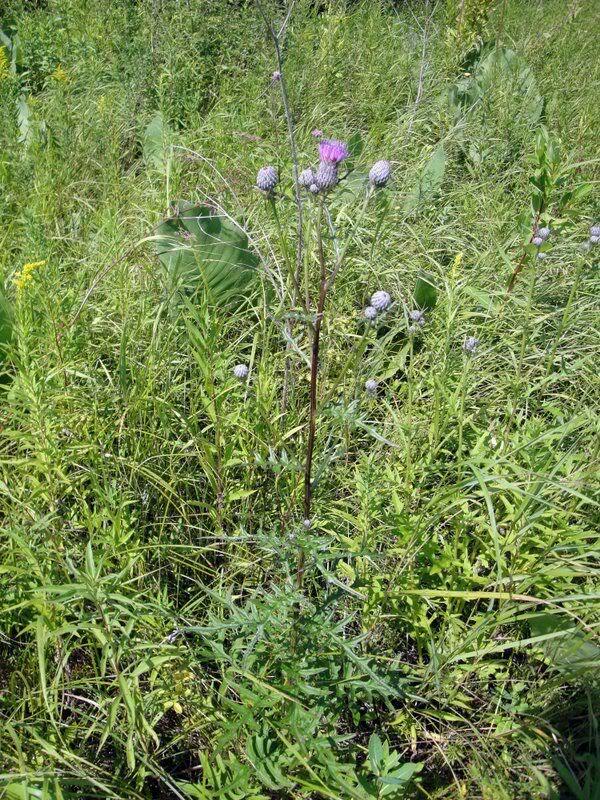 Here is another great native legume...leadplant. 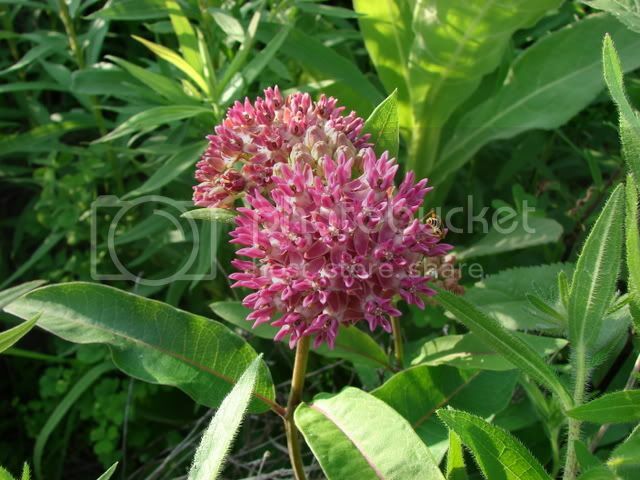 Asclepias incarnata, Swamp Milkweed, is also commonly called Red Milkweed or Marsh Milkweed. 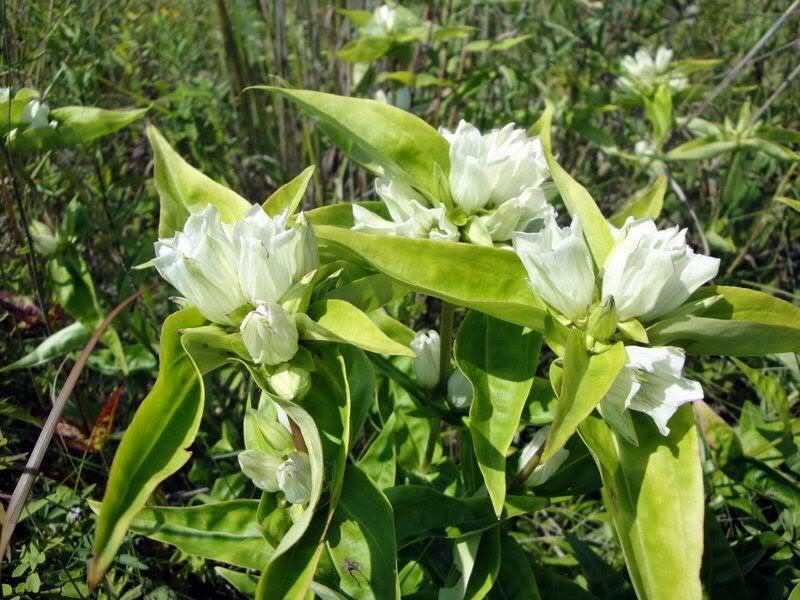 That lovely vanilla fragrance you detect coming from large rosy pink flowers possibly hosting several Monarch butterflies is very likely Swamp Milkweed. 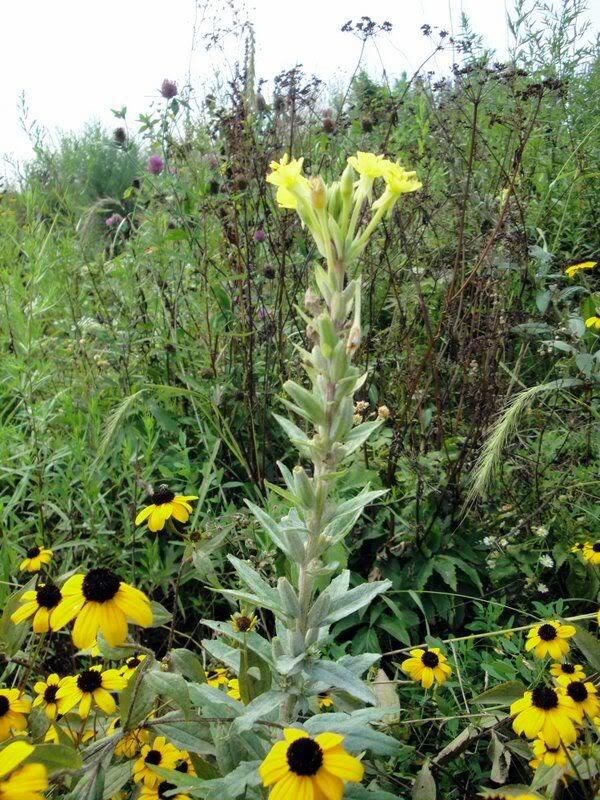 This deer resistant plant grows in moist to average soils, and blooms in July and August. Later, large pods formed, which will break open to reveal seeds that will float away in the wind. If growing Swamp Milkweed from seed, try fall planting - or if planting in spring be sure to first moist-cold stratify the seeds for a month. 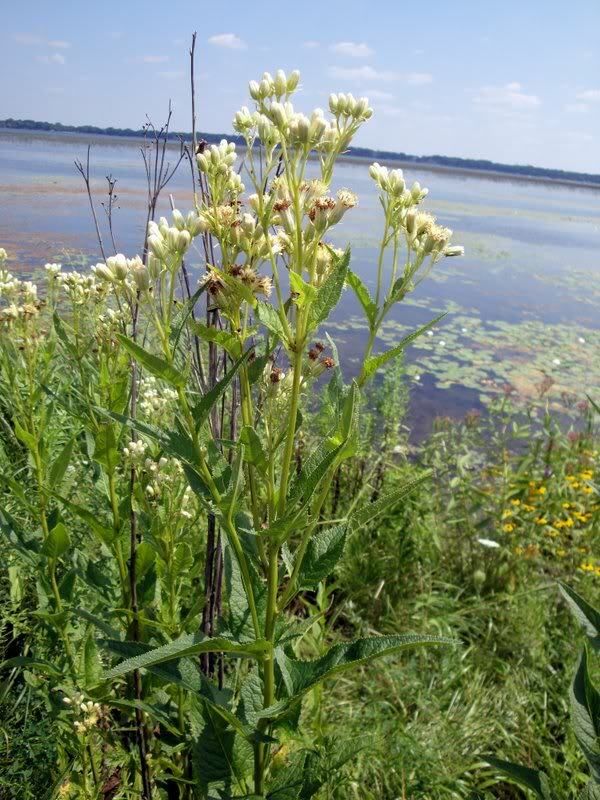 Large numbers of Swamp Milkweed can often be seen growing in wetland settings. The Karner Blue Butterfly is a federally endangered species native to the Great Lakes region. 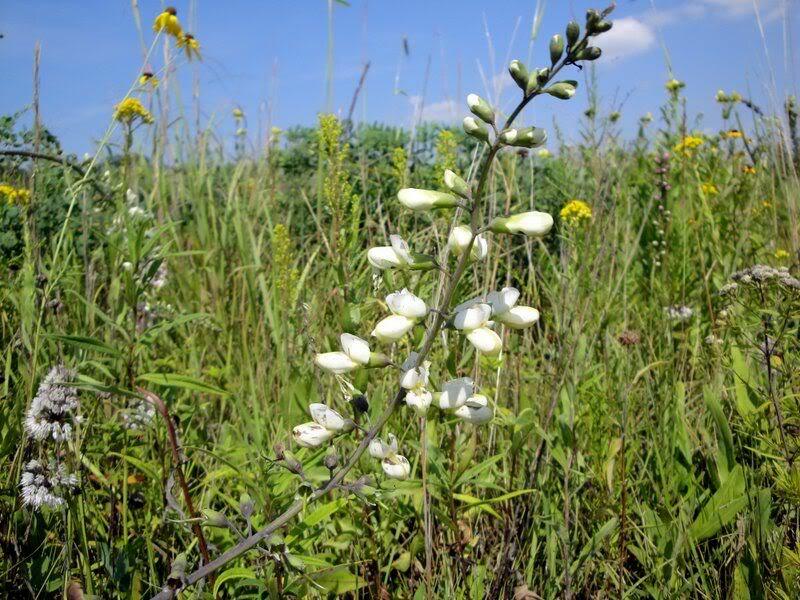 Its life cycle is solely dependent on the Wild Lupine. Genus Lupinus is a legume.Prairie Moon provides species-specific inoculum with most legumes free of charge. Inoculum will keep refrigerated for approximately 1 year. To properly inoculate your legume seed prior to planting, follow germination code I. Wild Lupine requires sandy soils. 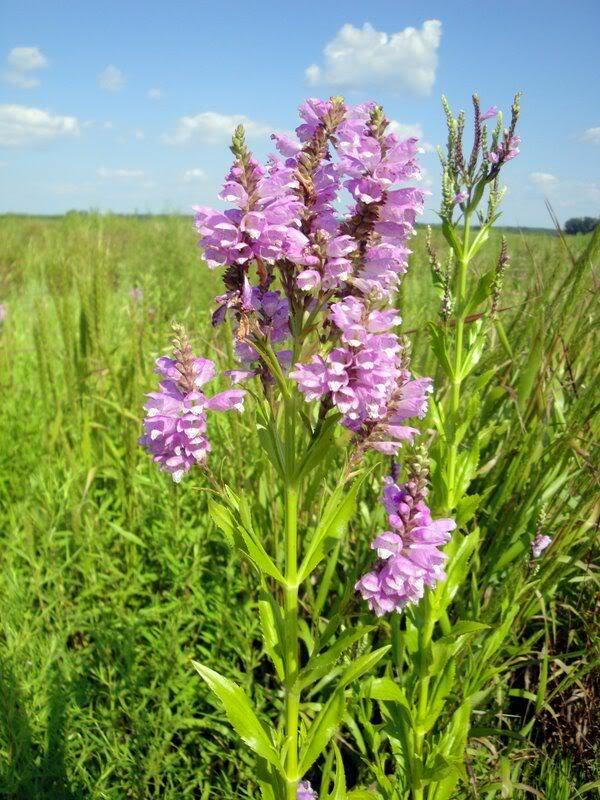 Desmodium canadense is aptly named Showy Tick Trefoil for its numerous pink flowers that bloom along the plant’s upper stems for about three weeks in mid-summer. 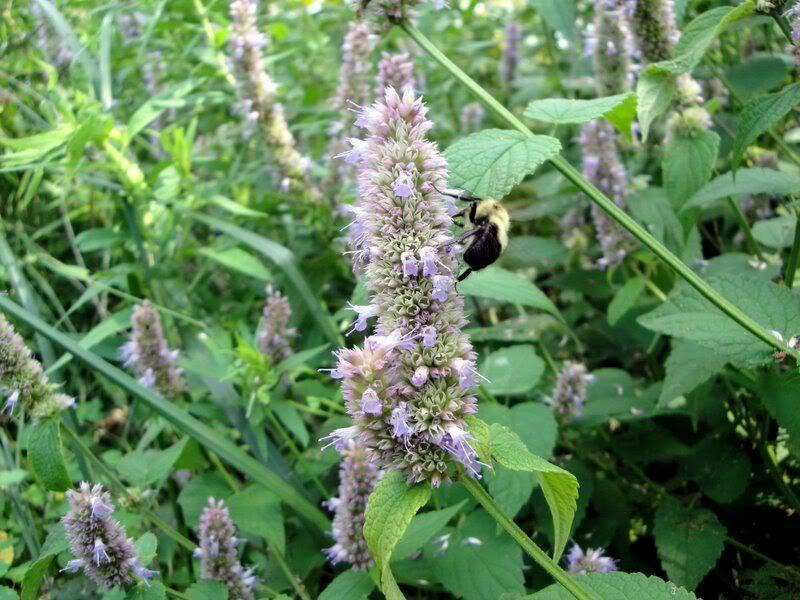 The effect is more attractive in colonies than isolated plants and tight plantings can help counter a tendency to sprawl. 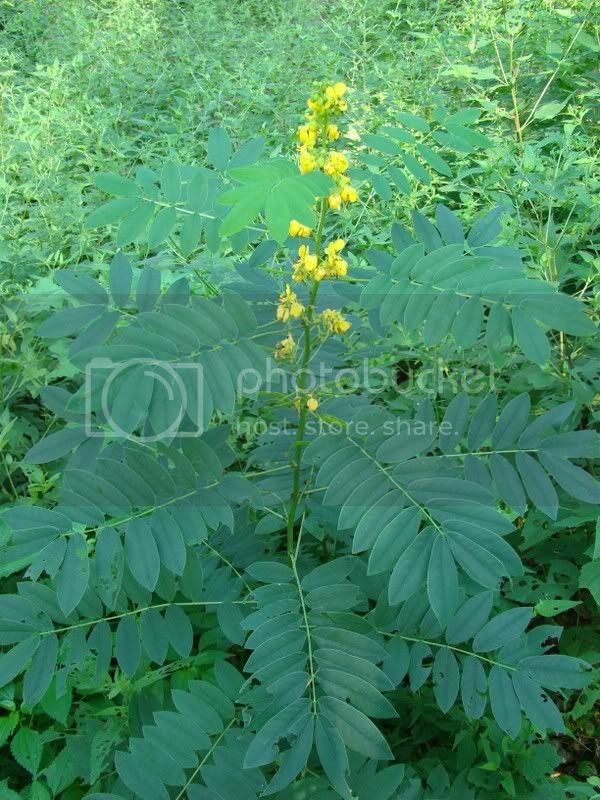 Like other tick trefoils (legume), Desmodium canadense adds soil nitrogen and has tiny hairs along its stems, leaves and seedpods, facilitating seed distribution by passing mammals and humans. 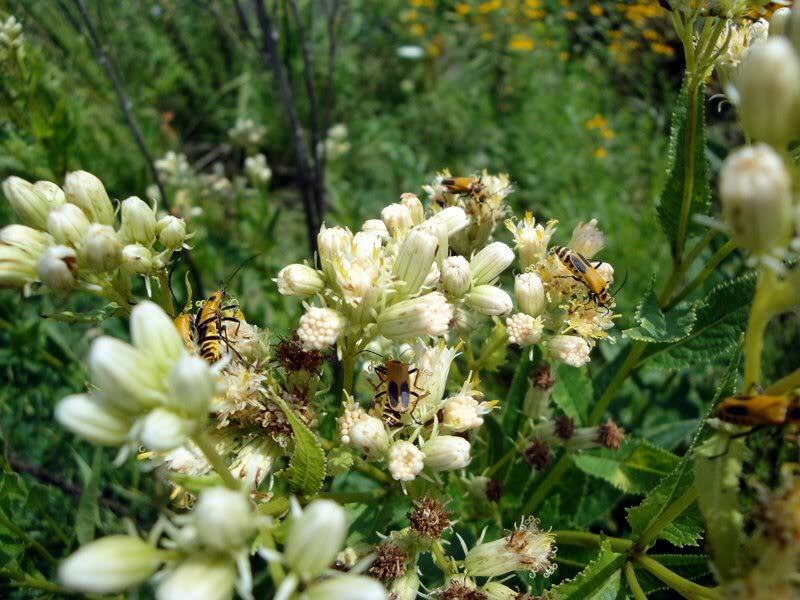 The nectar, pollen, seeds and foliage of this species appeal to a number of insects, birds and mammals.